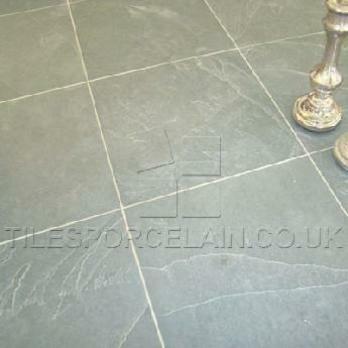 Slate with a green colour and riven texture provides floors with a rustic character. 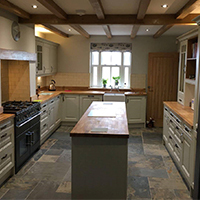 Green Slate flooring is used to great effect in farmhouse style kitchens and traditional interiors. 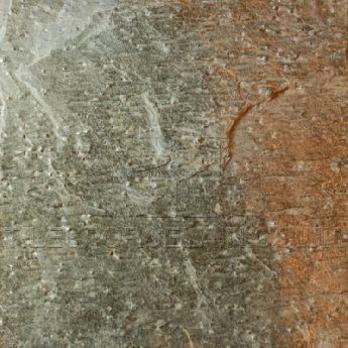 A running bond pattern really accentuates the character of this natural stone and is the preferred style on floors. 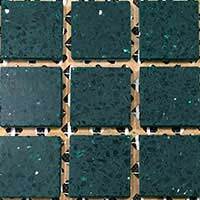 This green slate is available in a variety of different sizes. The riven finish produces a unique appearance. 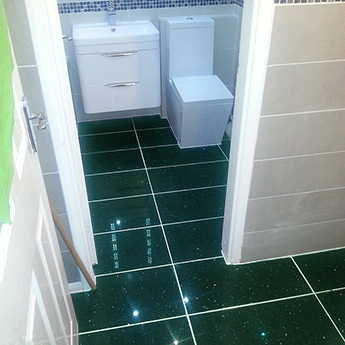 Green Riven Slate is hard wearing and is therefore suitable for high traffic areas in any property. 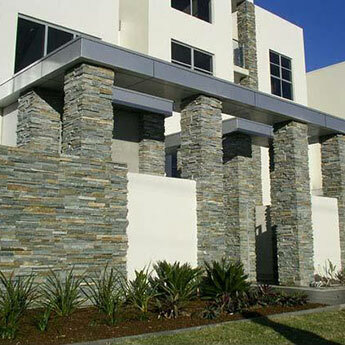 They are also used to good effect in exterior designs as part of patio and flower bed surrounds. 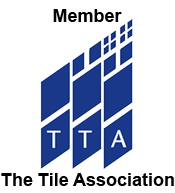 If you are interested in this premium slate variety from Tilesporcelain then please get in touch by giving us a call or sending an enquiry on-line.